Michelin is one of the largest tyre manufacturing company in the world and is based in Clermont- Ferrand in the Auvergne region of France. The company is also the owner of other tyre brands which include - Kleber, BF Goodrich, Tigar, Kormoran, Riken and Uniroyal. Founded by brothers – Edouard Michelin and Andre Michelin in 1889, the company produces various types of tyres such as all- season, summer and winter tyres automobiles and also produces tyres for aircraft, heavy equipment, space shuttles, motorcycles and bicycles. Michelin Energy Saver is an all- season tyre that is specially designed for hybrid cars and fuel- efficient cars. It consists of a unique tread design that provides better fuel efficiency by preventing the tyres to get heated up. It offers excellent traction in both dry and wet road conditions along with better braking performance. The tyre features remarkable steering and handling performance and can also perform smoothly at very high speeds in all kinds of roads without causing any damage. The twin steel belts of the tyre that is wrapped with polyamide provides comfort and strength. It is a budget- friendly tyre and is well known for its longevity. 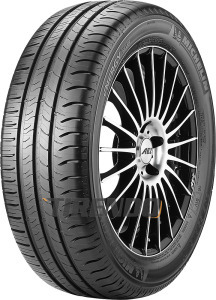 Michelin Energy Saver is available in many sizes which include:Michelin Energy Saver 195/65 R 15 91 T MO – This tyre was specifically made to protect the green environment and decrease pollution. The symmetrical design of the tyre provides better traction in both wet and dry road conditions. All the tyres of Michelin abide the rules and regulations of the European Union and bears the label of the European Union.